Chris Johns, OSU alumnus and editor-in-chief of National Geographic magazine, is recipient of the university’s Distinguished Service Award for 2005. Chris Johns came from a family farm near Central Point, Oregon, to study agriculture at Oregon State University. By the time he graduated in 1975, he was ready to set agriculture aside for a career in photojournalism. Now, three decades later, Johns returns to OSU Sunday, June 12, to receive the university’s Distinguished Service Award and to speak at the 136th annual OSU commencement. Two years ago Johns was named one of the 25 most important photographers in the world by American Photo magazine, and that same year he was appointed editor-in-chief of National Geographic. He enrolled in a photography class, using his friend’s camera to take photos for his final exam. From that moment on, he says, he was hooked on photojournalism. After graduating and earning a master’s degree from the University of Minnesota, he worked at the Topeka Capital-Journal and the Seattle Times. While in Topeka, he was named National Newspaper Photographer of the Year in 1979. In 1983, he decided to become a free-lance photographer and worked primarily for Life, Time, and National Geographic magazines. 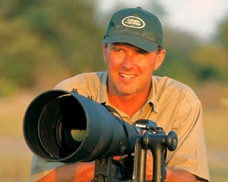 He joined the National Geographic staff in 1995, and since then has photographed more than 20 articles for the magazine, eight of which were cover stories. He also has photographed and written four books.